What I found was a smoother more enjoyable coffee served up with a generous dollop of humour. The secret lies in the skilled baristas now working there. 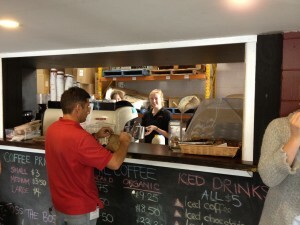 Liz, Marianna and Jake turn out a consistently well brewed coffee. This coupled with their knowledge of what people normally order has made all the difference. As the trainer on the baristas course I did said, “A good barista makes or breaks a cafe”. 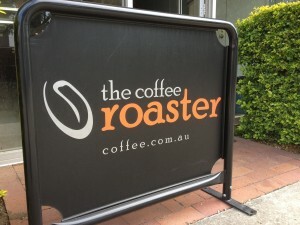 So if you want a good coffee, roasted locally and are around West End then drop in. This entry was posted in Food & Coffee, West End Wanderings. Bookmark the permalink.